The priority of the Africa Centre for Holistic Management is to train, equip, and empower communities to restore their land and wildlife. If you are concerned about poverty, disappearing wildlife, droughts and floods, drying rivers, food aid programs that never end and the ongoing battle for disappearing resources, we invite you to join us and learn more about what we do and how to become a part of the solution. 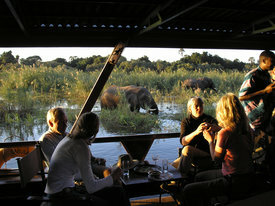 Additionally, if you are interested in connecting with the land, wildlife, communities and hospitality of this beautiful part of Africa, we welcome you for an incredible, tangible experience. 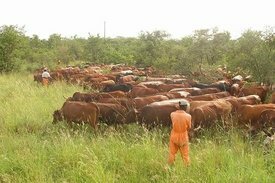 Experience how the Africa Centre for Holistic Management and its partner communities enhance food and water security and human livelihoods through training that utilizes livestock to restore degraded watersheds, wildlife habitat and croplands to health. See the elephant, lion, buffalo, sable, giraffe, kudu, leopard, and other incredible wildlife of Dimbangombe and Chobe National Park through locally guided river, vehicle and walking safaris. 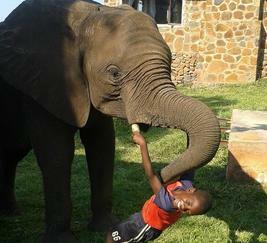 Meet the friendly elephant Dojiwe, visit the world famous Victoria Falls, enjoy a cruise on the mighty Zambezi, high tea on the veranda of the Victoria Falls Hotel and stay at the beautiful Dimbangombe Safari Lodge in bungalows and chalets unique to the African bush. Day 1 (Friday, 26 May) – Welcome to Zimbabwe! Price is per person, double occupancy. If you would like a single occupancy room, please immediately make this request via email to journeys@savory.global and expect to spend an additional USD $245.00. 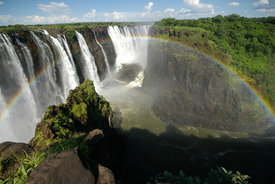 International airfare to/from Victoria Falls International Airport (VFA) is not included. 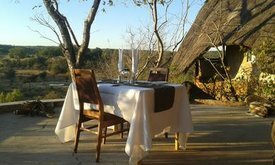 Inclusions: All meals as stated in the itinerary (Breakfast, Lunch, Dinner), lodging on the nights of May 26 – June 1, 2017, ground transportation, park and conservancy fees, safaris and game walks, Zambezi cruise on 29 May. Exclusions: International airfare to/from Victoria Falls International Airport (VFA), optional activities around Victoria Falls, tips, personal travel insurance (highly recommended), additional personal travel expenses. Beautiful bungalows and chalets at Dimbangombe Safari Lodge.